The bones found in Magdeburg Cathedral in a coffin marked with the name of Queen Eadgyth, granddaughter of Alfred the Great and wife of Holy Roman Emperor Otto I, have been confirmed as those of Queen Eadgyth herself. The bones had been moved several times over the centuries since her death in 946, so archaeologists couldn’t take the label on the 1510 coffin at face value. Anthropological analysis of the bones confirmed that they belonged to a woman between 30 and 40 years old (Eadgyth died at 36) who was a frequent horse rider. Isotope analysis indicated a diet high in protein, including lots of fish, so clearly the lifestyle markers all pointed to a person of high status. DNA testing wasn’t possible because the bones weren’t well-enough preserved, so the next step was to analyze the strontium and oxygen isotopes in the teeth to try to narrow down where she lived as a child. It was possible to ‘triangulate’ the location of the first 14 years of Eadgyth’s life, which pin point the chalk regions of southern Britain. Mark Horton, Professor in Archaeology at the University of Bristol, said: ”Eadgyth seems to have spent the first eight years of her life in southern England, but changed her domicile frequently, matching quite variable strontium ratios in her teeth. ”Only from the age of nine, the isotope values remain constant. ”Eadgyth must have moved around the kingdom following her father, king Edward the Elder during his reign. The confirmation of Eadgyth’s identity is exciting not only because the latest and greatest science was able to answer questions that would have been unanswerable just a few years ago, but also because these are the oldest remains of a British royal ever found. 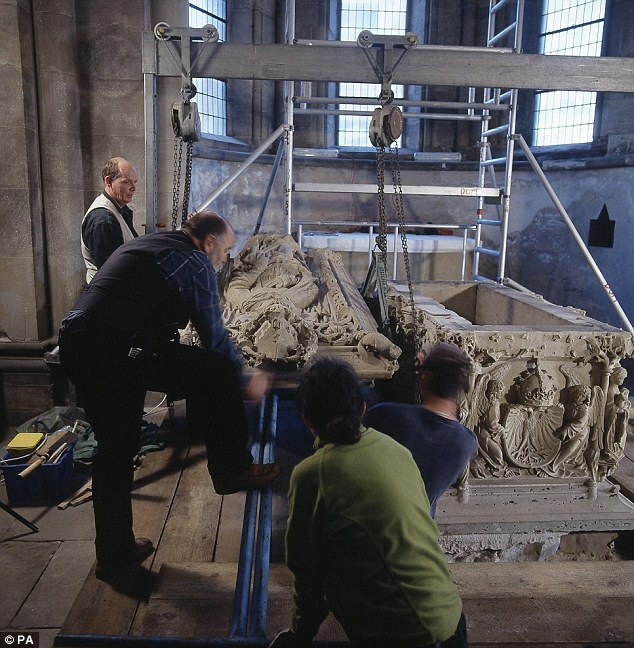 Her brother Athelstan has a tomb in Malmesbury Abbey, Wiltshire, but the remains were lost during the dissolution of the monasteries under Henry VIII. This entry was posted on Thursday, June 17th, 2010 at 9:41 PM	and is filed under Medieval, Treasures. You can follow any responses to this entry through the RSS 2.0 feed. You can skip to the end and leave a response. Pinging is currently not allowed. BBC Radio 4’s In Our Time will be discussing Athelstan, Eadgyth’s brother, next Thursday (1 July). The broadcast will be available at the site for downloading for 1 week, after which it can be heard via streaming. Bookmarked for future viewing pleasure, thank you kindly.